‘Better for You’ chocolate for today’s consumer. Committed to healthy ingredients that everyone can enjoy NibMor offers organic chocolate that is everything dark chocolate should be. Thanks to those efforts we now have a rich, creamy treat without a bitter after taste. 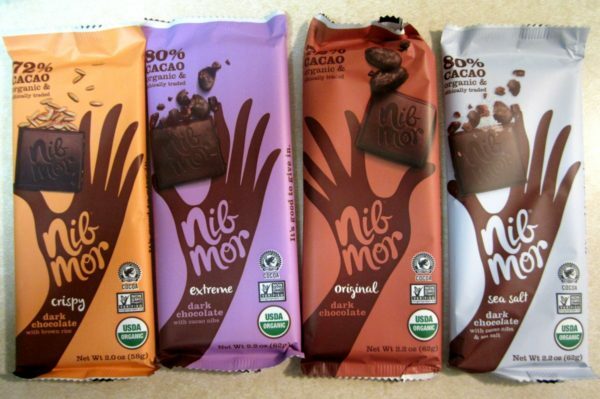 NibMor organic dark chocolate is unlike any other every day indulgence you will find. Percentages vary from 72-80% cacao, offering a daily dose of flavinols and other sought after antioxidants. With a focus around traditional flavors, this chocolate will become a pantry staple!